Our product range includes a wide range of silicone rubber sheet, rubber sheet and natural rubber sheet. With an aim of providing supreme satisfaction to our prestigious customers, we are involved in providing an extensive range of Silicone Rubber Sheet. Marked at the inexpensive rate possible, its demand is quite high among the customers. High quality raw materials and latest technology is used in its manufacturing process. Customers can easily avail these products in bulk from us. We are mfg. 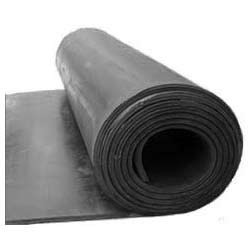 rubber sheets 30cms x 30 cms, 20cms x 20cms, 250cms x 250cms for fibc industries or as per customised requirement and specifications. By keeping track with the market developments, we are engaged in offering an extensive range of Natural Rubber Sheet. This sheet is available in different sizes and shapes to fulfill specific needs of the clients. The offered sheet is manufactured with high precision using excellent quality rubber with the help of sophisticated technology. We offer this sheet at the most reasonable price to our precious clients.